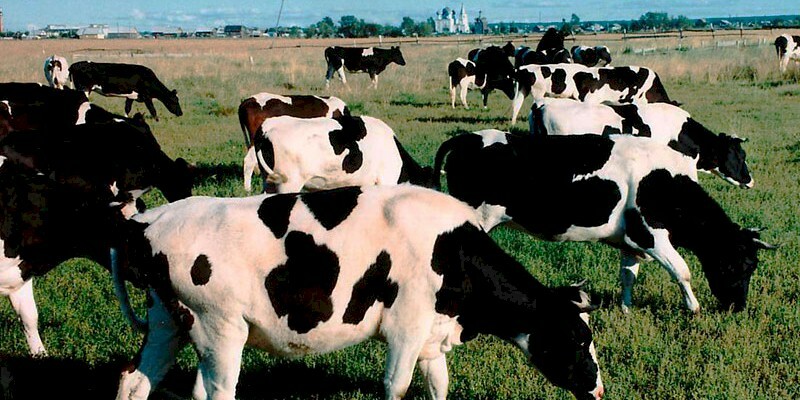 They are large and have a pronounced milky body type. Most are black and motley, although sometimes they are red-motley, red and black. The milk yield is 3000-3300 kg, the fat content of milk is 3.6 - 3.7%. From cows-recorders for lactation, receive 7000-10 000 kg of milk. Cattle are well acclimatized. Kholmogory cows on the average have a mass of 480-590 kg, bulls-producers 850-950 kg. The largest cows reach 800 kg and more, bulls - 1200 kg. The reproductive function is well developed in individuals. So, at birth, the live weight of chicks is 32-35 kg, bull-calves - 37-39 kg. At 18 months of age, the mass is 370-390 kg.